T he market for nonwoven products is forecast to continue its growth trend, through both rising world population and the development of innovative products. EDANA (the European Disposables and Nonwovens Association) also sees per capita consumption almost doubling to 1.62 kg in 2020, compared to 0.96 kg in 2009. Demand is especially strong in hygiene, personal care and medical applications – but these end-uses are among the most challenging for producers, with rigorous quality standards typically specifying zero tolerance for defects larger than 1 mm. So, manufacturers aiming to capitalize on this attractive business potential will need to adopt prudent strategies for the removal of contamination and assuring the quality levels their customers require. This is the background to USTER’s expansion of its technology range, with reliable control of contamination before the raw material reaches the fabric-making processes – and now with the ultimate safeguard of automated checking of the finished fabric at the final inspection stage. 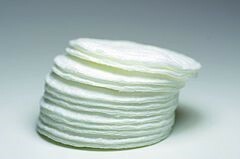 This is a comprehensive quality solution, ideal for spunlacing – the process most widely used for medical and hygiene products – but also effective for many other nonwovens manufacturing routes. Effective detection and elimination of natural and synthetic contamination is best achieved right at the start of manufacturing, when the fiber raw material is in loose stock form. For this, the USTER® JOSSI VISION SHIELD fiber cleaning system applies sophisticated sensors and latest-technology spectroscopes to pinpoint even the smallest particles of foreign matter in the cotton or man-made fiber raw material. All kind of synthetics and even the finest scraps of white polypropylene – otherwise difficult to pick out – are efficiently removed with the USTER® JOSSI VISION SHIELD. Customers in super-sensitive application use two or even three USTER® JOSSI VISION SHIELD units in a row, for total confidence that the last and most minute fragment of contamination will be detected and eliminated. Many common and troublesome defects in nonwovens production are unrelated to contamination problems, and can often be detected only at the final stage of fabric manufacture. These include overlap, undrawn filament and fiber bunching. 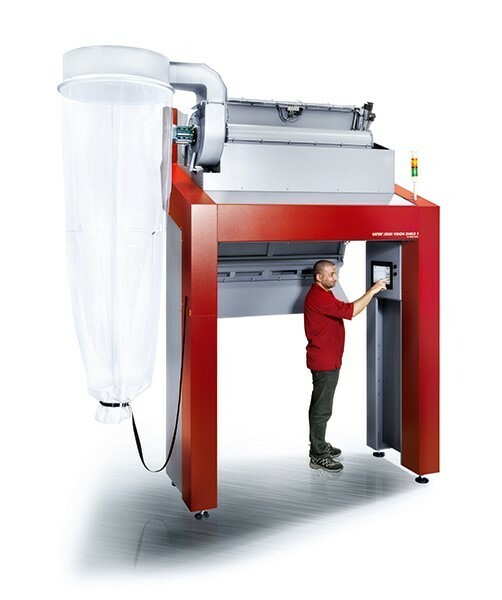 Now, Uster Technologies is expanding the quality control options for the nonwovens industry with a two-stage approach: the USTER® JOSSI VISION SHIELD deals with contaminants at fiber opening, as mentioned. Additionally, defects of other types can be eradicated at the end of the production line, following USTER’s successful acquisition of EVS, as announced on April 25, 2018. The deal adds a range of fabric inspection solutions to USTER’s quality control systems. Acquiring EVS and integrating the company’s products into the USTER range is a move following USTER’s strategic goals. USTER aims to offer the textile industry instruments and systems to manage and improve quality from fiber to fabric. EVS is a global leader in the field of automatic optical inspection in production and quality control of fabrics and webs, since 1992. Innovative systems improve product quality and increase production efficiency and quality – for other applications as well as nonwovens – in hundreds of installations worldwide. Nonwovens producers can see the complete offer of Uster Technologies in October at ITMA Asia + CITME 2018 in Shanghai, EVS will be part of the USTER booth for the first time.